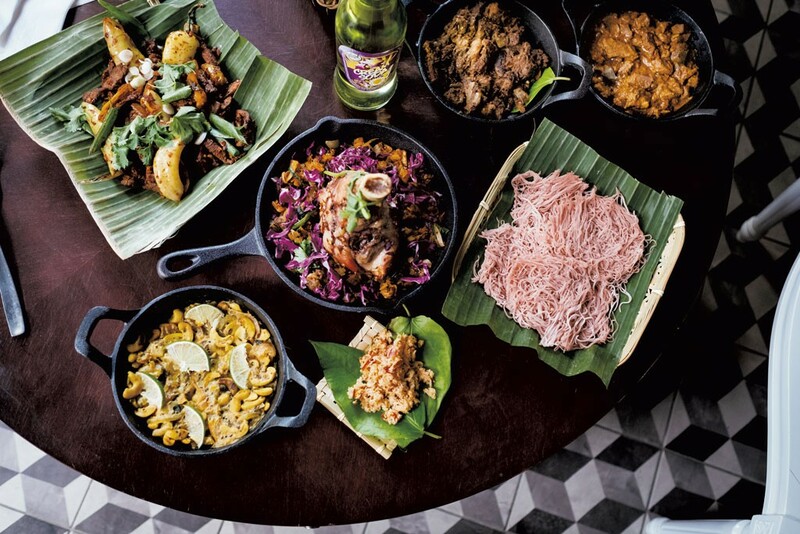 But things changed for the former corporate consultant — specifically her relationship to the food and hospitality culture of her Sri Lankan heritage. In 2014, Sivans started Hungry Dabba, a food pop-up and ready-made food company in London. Wanting to expand her knowledge of the cuisine, she traveled around the small island nation of Sri Lanka for three months in 2016 and 2017. Though she speaks Tamil, it was her first trip to the country her parents had called home before civil war caused them to flee. Sivans said her trip, though part "soul sojourn," was focused on researching food and spices. She spoke with Sri Lankan chefs to learn about ingredients and techniques, studied at a spice research center in central Sri Lanka, and met local farmers and spice growers. In June 2018, Sivans, 32, moved to Montréal and married a Canadian with whom she'd been having a long-distance relationship. 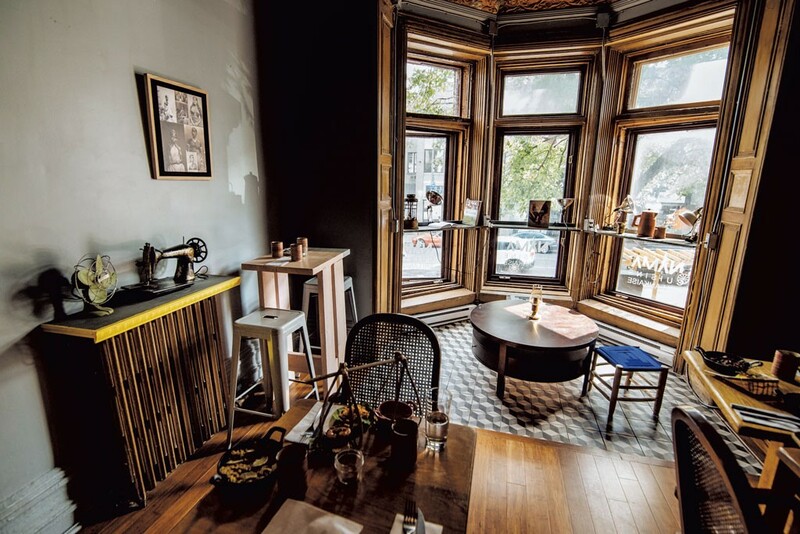 A mere month later, she opened Nama, keeping the interior basically as it came, with copper-colored Victorian crown moldings and walls painted with a pop-art palette. "Everything I've learned from my family, my trip, my research — everything put together is what is on Nama's menu," she said. That curated, tidy menu has five appetizers, six curries, kottu roti and a handful of critically important sides. Equally solid is the creative cocktail menu, which is where my friend and I began on a busy late-autumn Friday evening. The Jaffna Fever ($10) was made from pulpy mango juice, whiskey, rum, lime, fresh-pressed ginger and sparkling water. Served with fresh mint and a sprig of rosemary, the cocktail perfectly balanced sweet juice and spicy ginger. My friend's Trincot's Sunset ($10) was sweeter, with guava and lime juices, Soho lychee liqueur, white rum and grenadine. Chia seeds gave the cocktail a slippery, healthful element, useful for anyone who needs to justify drinking liquor. Our appetizer came out quickly. The katharikai ($8) consisted of three tiny eggplants stuffed with almond paste and green chiles and then roasted. They were served with coconut milk and a schmear of smoky but light hummus. It was a solid start to the meal, though the mains and sides proved more memorable. Kottu roti is a common Sri Lankan dish that uses coconut roti, a chewy coconut flatbread, as its base. For Nama's kottu roti, the flatbread was chopped up and pan-fried with leeks, red and green onions, and a curry paste of mustard seed oil, bay leaf powder, cardamom and ginger. We ordered the vegetarian version ($15), which included a stir-fried egg. It was also available topped with chicken or a saucy lamb shank, the latter of which looked especially delectable at another table. Our version was savory, mild, and rich from the coconut and mustard oils. A Sri Lankan meal isn't generally limited to just one or two dishes. As Sivans described it, families commonly eat five curries, served with rice or noodles, and a variety of sides. Nama's menu is à la carte, so it's best to go with a small group that's willing to strategically order and share. What makes Nama's food especially exciting are the myriad ways the mains and sides can be combined, with different results. The nilaveli ($17) consisted of king prawns in a medium-spicy tomato sauce that was pleasantly heavy on onions. I combined it with the excellent, housemade string hoppers ($5), which are steamed, vermicelli-like noodles made from red rice and wheat flours. I could taste the earthiness of the string hoppers alongside the warm cardamom of the shrimp curry. A few bites in, the heat built. Then I combined the shrimp curry with the kottu roti, and the latter's sweet-savory onions complemented the sweet shrimp. I had just recovered from a surprise allergic reaction that had made eating difficult for two weeks, and I relished every distinct-tasting bite. We ate the goat curry ($18) — dubbed Welcome to Jaffna after the main city in northern Sri Lanka — in a similar mix-and-match fashion. The dish's roasted curry spices were more pronounced than the flavor of the lean goat meat. Its sauce was thick, more like a heavy glaze. I spooned red coconut sambol on top, likely the best $5 I've spent at a restaurant this year. Sambols, commonly served with Sri Lankan curries, are sides that act like condiments; they can go on top of almost any dish. This one was made by crushing fresh coconut, along with garlic, lime and pepper flakes, with a stone mortar and pestle. Its bright acidity, refreshing coconut and subtle bitterness augmented the flavors of the complex curries. As Nama staff often explain to customers — about 30 when the restaurant is full — Sri Lankan food is quite different from Indian. 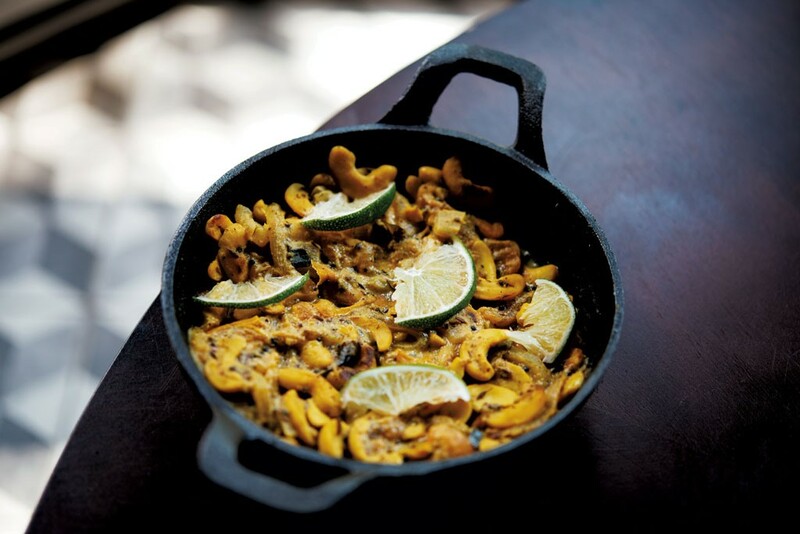 Sivans preferred to say that Nama is "more on the gastronomy side of things, with an island kick" than "authentic Sri Lankan." Nama's food is not exactly the same as her mother's and is not up to the heat level that Sivans cooks at home. Yet the kitchen crew makes fresh spice blends in-house daily, giving the dishes a flavor complexity that's generally missing with packaged or ready-made meals. As is common in Sri Lanka, the restaurant uses coconut oil in most of its dishes, not butter or ghee. And in Nama's case, the oil is organic, which doesn't come cheap. Sivans noted that many Montréal diners are accustomed to "brown restaurants" (her term) featuring long menus with dairy-laden sauces and low prices. Nama does not conform to this style. To do so, as she sees it, would compromise the food quality. "If this was French-style, mainstream food in the Plateau, people wouldn't be saying it was pricey," she remarked. Her comment cuts to the reality of many white customers' unfair expectations of South Asian restaurants: that their food should be simultaneously inexpensive, "authentic" and prepared to a customizable heat level. Such an approach to dining is ungracious and entitled. Nonetheless, Sivans takes pleasure in introducing Nama's food to a broader audience. 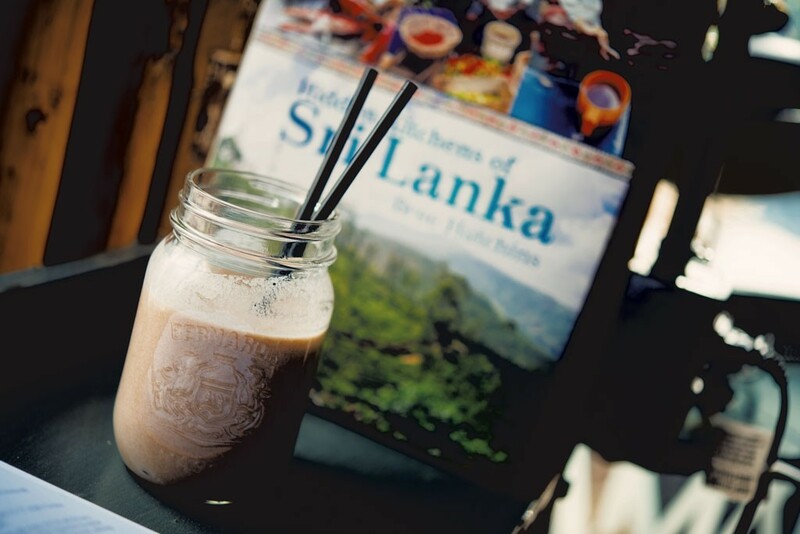 She estimated that 80 percent of her first-time customers had never before tasted Sri Lankan cuisine, and she believes that it is the staff's duty to explain the country's food and history. Our host and servers spent considerable time patiently answering questions about the menu. Sivans, who is Hindu, noted that the restaurant's name comes from the common Hindu mantra "Om namah shivaya," which she said roughly translates to "I bow to Shiva." She takes joy in watching customers trying something new and finding they love the food. "For that," Sivans said, "we're really grateful." Nama, 3439 rue St-Denis, Montréal, 514-461-0130, namamontreal.com. The original print version of this article was headlined "Curry Not in a Hurry"